Automatic Dependent Surveillance-Broadcast or ADS-B as it is known, is a new Air Trafﬁc Control technique for aircraft in both Non-Radar and Radar Airspace. Guiding aircraft to their destination in a safer more efficient way. ADS-B is a means by which aircraft, aerodrome vehicles and other objects can automatically transmit and receive data. Identifying themselves and their position via a data-link. This user friendly broadcast mode keeps communication lines open, informing people on the ground and in the air of real time developments. 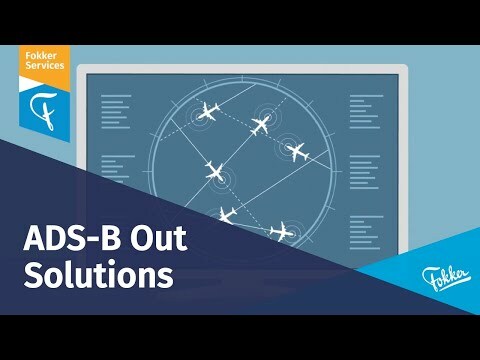 ADS-B out is the ﬁrst step and will only send data from the aircraft. Non-reliant on external stimuli the ADS-B is automatic, depending solely on existing on-board transmission services to provide surveillance information to other users. ADS-B will gradually be mandated globally; Australia in 2013, followed by North America (January 2020) and Europe (June 2020). It is already mandatory in airspace above the Hudson Bay area with very positive results. All dates are applicable to retroﬁts, mandates for new aircraft are more stringent. Well over 40.000 a/c need the retrofit, including: Air Transport, Regional, Business and Military aircraft! Are Vendors able to supply over 80.000 Transponder (upgrades) in time for the retrofit Market at affordable prices? MRO Hangar capacity is limited, and will (should!) drive the planning for ADS-B Out as capacity will become constrained as the deadline approaches. Shops and Vendor may charge extra as the deadline approaches. Penalties will be in place after the mandate (aircraft grounded or limited use of airspace). Surveillance data provided directly from on-board systems. More efficient flight profiles (in areas where, previously, surveillance was not cost-effective). Reduced RF pollution (leading to an increased viability of the 1090 MHz datalink). Foundation for future SESAR and NextGen ATC applications (spacing, separation, self-separation). A customised Engineering Bulletin with the embodiment instructions. The relevant aircraft operational (AFM, AOM / FCOM) and maintenance manual (AMM, AIPC, WDM) by means of supplements. The hardware (or upgrades) related to Transponders, stand-alone GNSS Sensor, Wiring and Flight Deck indications if applicable. A capable ATC Mode S Transponder transmitting Extended Squitters on 1090MHz (1090ES). A Global Navigation Satellite Sensor (GNSS) (if the existing FMS or MMR cannot be used). Wiring interfaces between the GNSS unit (or MMR/FMS) and the ATC Mode S Transponder. Flight Deck Indications (if applicable).